I started exercising daily and improving my diet in October 2008. It took about a year to lose 60 lbs. My name is Michelle Rogers. I live in central North Carolina with my husband, and we have two children in their 20s. My career background is in communications, and now as a certified fitness professional. But I have overcome a very personal burden. For most of my life I struggled with self-esteem, eating and my weight. I’ve been every size in the store. My body went through a nearly 100-lb. fluctuation and my weight rarely stayed stable. I was either gaining weight or trying to lose it. Yo-yo dieting and sporadic stints of exercising were the norm for me. I’d see a magazine cover that promised “lose 20 lbs. this month!” and I’d believe it and try it. By the time I reached 40, my weight had steadily crept up. I was always bloated, and finding clothes that fit and were flattering was a challenge. Worse of all, I felt sick and tired almost all the time. I’d get up from my desk feeling stiff and sore, and hobble over to the copier. I was taking four Ibuprofen at a time, daily. After going grocery shopping, I’d need to lie down and rest for a while. Just getting through the day made me weary. I wasn’t happy with myself, and I certainly wasn’t fully enjoying life. Not only did I feel bad physically, I felt terrible emotionally. I was so self-conscious that I often shied away from activities that involved people. My self-esteem and energy levels were connected, and both were as low as they could go, it seemed. I knew I wasn’t being the best I could be, and that bothered me. But with failure after failure at keeping weight off, I just felt so helpless to overcome it. One day I’d had enough. I decided I was done with dieting, done with losing only to gain it back. I was sick and tired of feeling sick and tired, and too young to feel this old! So I figured that if nothing else, I needed to get my body moving to try to alleviate the stiffness and tiredness. The awesome treadmill I found on Craigslist started it all! We’d just moved into a new house and money was tight. I was scanning ads for used furniture on Craigslist, and saw a treadmill for $100. I couldn’t believe my eyes when I went and saw it. Covered in dust in the garage corner was a practically brand-new NordicTrack! It even had a shock-absorbing cushioned belt, which would be good for my sore joints and feet. It was perfect. It was meant to be. Because I was so determined that this time would be different, that I wouldn’t lose weight just to gain it back, or start an exercise program just to give it up, I really thought about how I should proceed with fitness. This time I decided to start small and keep it doable. And as it turns out, starting small but being consistent was a key point in my success. I started walking 15 minutes on the treadmill at a scheduled time every day. The next week I did 16 minutes. Each week I added another daily minute. Gradually, I increased speed as well as time. Once I got to 30 minutes, the weight started dropping off. By then I’d been at it a few months. I wasn’t losing weight at first, but I didn’t give up like I had every other time in the past. Why? Because I realized I’d started feeling better. My legs were getting stronger. I didn’t feel stiff and sore when I got up from my desk like I used to. I had more energy, was more cheerful even. I was truly getting better, physically and emotionally. So I said, heck with it, if I don’t lose pounds then so be it…but I’m not giving up. I didn’t want to go back to feeling sick and tired all the time. It was when I made exercise about my health and feeling good, instead of the scale, that everything finally clicked for me. And amazingly, that is also when I finally started losing weight! All the effort I’d been putting into fitness made me want to start eating healthier, too. I began with small, gradual changes there as well. For example, when we went to McDonald’s, I ordered a Quarter Pounder without cheese, instead of my usual Big Mac. I also quit eating late at night, because it gave me heartburn. I started eating high protein meals and fewer sandwiches, because that was better for my hypoglycemia. When I began this journey, I didn’t tell anyone. With my track record I had no expectation of success and didn’t want to announce I was starting something just to once again fail. A fit body seemed like an impossible dream. But to my surprise, this time was different — I did succeed. I succeeded because I refused to give up. Today, the extra weight is gone. I’m still exercising every morning. I look and feel the best I ever have. No longer stiff and tired, I can hike mountains on the weekends instead of needing a nap just from going to the store. Every area of my life has improved and benefited from this change in me. Not only do I have my youthful energy, looks and health back, I have more confidence and self-esteem than I have ever had. 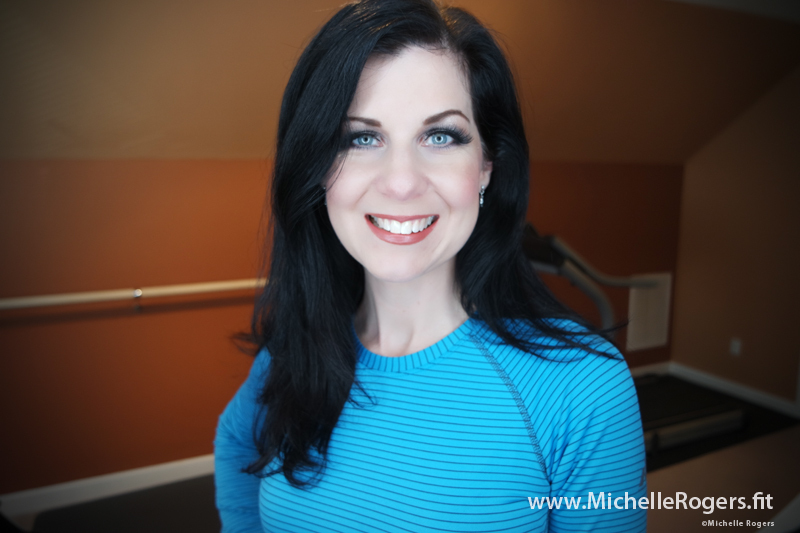 This has made such a tremendous difference in my life, I went on to become a certified fitness professional so I can help others live their best life, too. I’ve earned credentials from the National Academy of Sports Medicine, the American Council on Exercise, and the National Council of Certified Personal Trainers. I went through my difficult journey alone, and while I eventually came out the other side it wasn’t easy. I unknowingly made a lot of mistakes, and had no one to guide me or to help me stay on track. Back then I didn’t have the benefit of the professional health and fitness education that I have today. I’ve learned so much, with personal experience and through 3+ years of coursework to earn three of the industry’s top credentials. The good news is, you don’t have to go it alone. 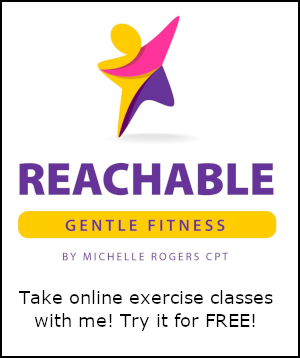 I started this blog and my online exercise studio, Reachable Fitness, so that others don’t have to struggle like I did. Are you ready to change your life, just like I did? Let’s get started today! We will not share your info, and you can unsubscribe at any time. Please check your email to confirm your subscription. Thanks! What a great story! Congrats on your huge accomplishment! Wow! You are an inspiration! You were beautiful before, and you still are, but that is a fantastic achievement to be so healthy. I am so glad to hear about the turning point, that is the point most people quit, just before the magic happens…..but you persisted, and the results showed! SO proud of you, and I am sure you will keep up your healthy lifestyle, and live a happier life! Wow, I really enjoyed reading your story! I’m still a bit of a slave to the scale, and don’t listen to my body enough. Reading this reaffirms that scales don’t tell a true story (or even clothes size) – instead, it’s how you feel day in and out! I started getting more active a couple years ago with a modest goal of losing 20lbs (which seemed like a lot) – over the course of a year, I lost close to 80lbs. Secretly, I’d like to get lose about 15 more, but these pounds are stubborn! I’m reminded just now how simple my journey started too. Thanks for sharing. 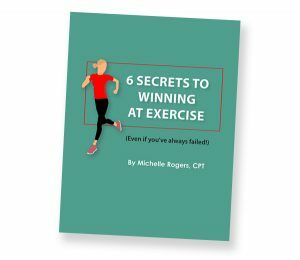 Your story is amazing, and as another woman in her 40’s who has always struggled with weight loss, I am really glad I got to read about your journey. I even shared it with the Diet Bet that I am hosting. THANKS for being such an inspiration! What an awesome story; and good for you for neither giving up nor expecting immediate change (like so many seem to want these days). Being father of 8 year old twins and also in my 40s, becoming fitter in the last few years has also made a huge impact in my life. My children especially enjoy it as they love hanging off my arms or being thrown in the air; something I no longer find difficult or tiring. I’ll certainly point others to this story for inspiration. Great work!!! Wow…what a great story…and I can so relate as I just turned 44 and finally decided 2.5 years ago to take charge of my health. 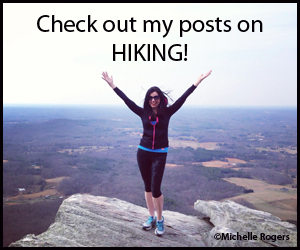 At 44, I am healthier than I was at 40 and 30s! …I have a ways to go, am learning along the way, but I am getting there!! Thanks for the inspiration and sharing your story. So happy to have found you on Twitter, IG and here!!! Congratulations! It is so exciting when all the hard work pays off and you feel better than you ever did! Thank you for sharing your story! Wow, at this photo at the end of your post you look… hmmm can’t find a proper words.. Great! 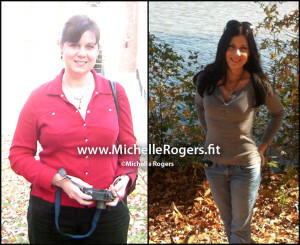 Michelle, This is such a simple but motivating story! I know so many women that feel or felt the same way! Great job on your continued success! Keep inspiring! Great story! 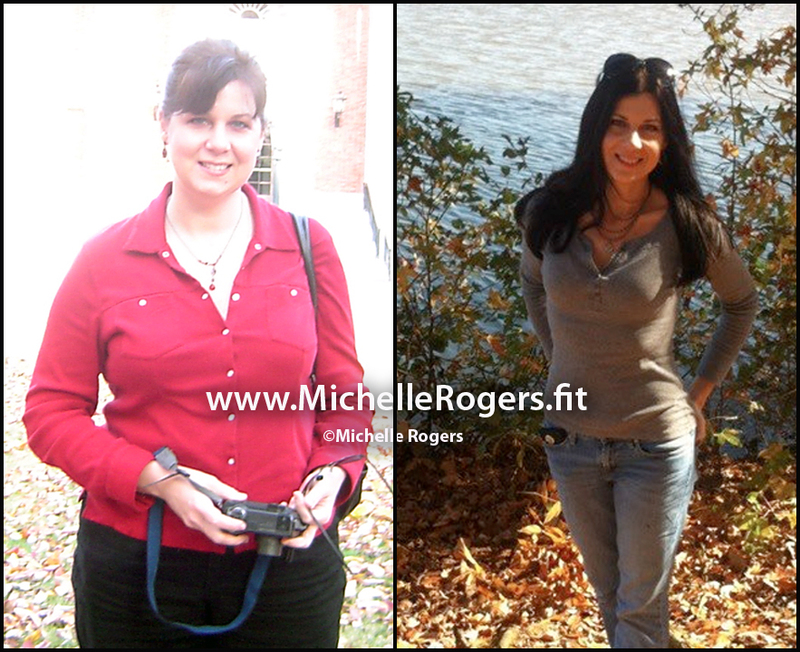 I love hearing about people that power through and stick with a healthy lifestyle. Do you have a post about what eating clean means to you? I am always curious about what works for different people. Thank you for sharing!!! What a great story! I can also relate to many things that you have said. I’ve done the whole yo-yo dieting for years and finally learned how to change my habits to healthy ones. Congrats on your success, you look amazing! You are an exceptional example of little changes making a big difference. Consistency is the key! Reach for the stars, our mind is our only true obstacle. Your approach makes so much sense. Simply listening to our bodies is something we’ve forgotten to do. Congrats, Michelle. Very inspiring story.